Take advantage of online discounts when you book online at LEGOLAND Windsor with tickets priced from £32pp. Our LEGOLAND Windsor Guide suggests that booking in advance saves you up to 38% off standard price tickets plus allows you to bypass queues at the ticket kiosks! We tend to find the best prices are available to those that can plan ahead plus it’ll guarantee you entry into the park. TO BUY GO TO LEGOLAND Windsor Tickets from £29pp. Look out for this LEGOLAND Windsor 2 for 1 voucher from Kellogg’s that is valid for use until 30 June 2020, (restriction on dates). Worth noting that vouchers can only be used against full on-the-gate price tickets, and not with tickets bought online, so savings are perhaps not as substantial as initially thought. Whilst this Grown-ups Go Free voucher cannot be used in conjunction with any other offer or concession, there are now options to pre-book in advance through a designated link. LOOK OUT FOR substantial savings when you book online in advance that allow you to bypass the ticket kiosk queues! To purchase tickets go to LEGOLAND Windsor Tickets. Here’s a chance to enjoy a day at LEGOLAND Windsor plus a meal deal from just £35.85pp. This promotion includes a LEGOLAND Windsor 1 day ticket plus either a Farmer Joe’s Chicken meal or Fish & Chips meal deal with savings of up to 50% off the package walk up price! Look out for for additional savings on child tickets too. TO BOOK GO TO LEGOLAND Windsor Ticket & Meal Deal. 4. LEGOLAND Resort Hotels; Early Access To The Park! Extend you stay with a night at one of the LEGOLAND Resort Hotels & take advantage of EARLY ACCESS to the theme park! Opt to stay on-site and you can enjoy 30 minutes of exclusive access to select rides & attractions before the park opens to the public. 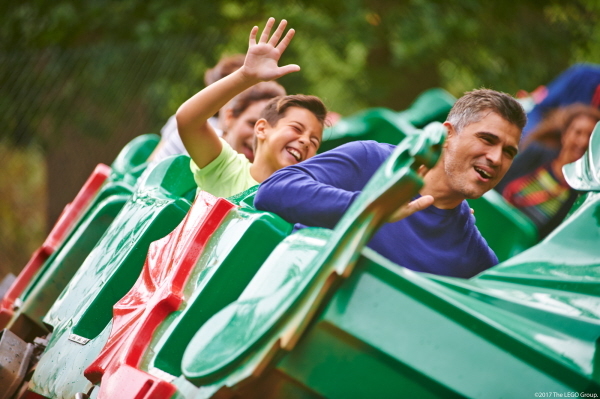 Short stays also offer FREE parking and a FREE second day at the park to help you get more for your money plus Kids Go Free promotions that run through the season. TO BOOK GO TO LEGOLAND Resort Hotels – Early Access & Free 2nd Day Offers. Pick up 2 FREE tickets to LEGOLAND Windsor in this newspaper promotion that runs each year in the Sun. This is particularly beneficial to those that have flexibility as you cannot select a specific date to visit. It is quite a complicated promotion but if you follow the instructions to the letter, you’ve a chance to enjoy complimentary entry to the park, rides & attractions. This offer tends to run May/June time each year so keep checking back for further details. LOOK OUT FOR OUR LEGOLAND Windsor Guide packed with tips to beat the queues plus money saving ideas to help you get the best from your visit! Save up to £15pp when you book in advance at LEGOLAND Windsor that also helps you bypass the queues at the ticket kiosks. We’ve often found that the best online savings can be found for those that plan ahead with tickets priced from just £29pp. Online tickets also give you the added advantages of guaranteeing entry to the park on popular days as well as allow you to side-step the first queue of the day at the ticket desk. TO BOOK GO TO LEGOLAND Windsor Tickets- save more than £15pp. Redeem clubcard vouchers to gain entry to LEGOLAND Windsor that can offer substantial savings for regular Tesco shoppers. You no longer have to pay for your tickets in full with clubcard vouchers as there’s now an option to top up with a credit/debit card. Opt for a 1 day entry ticket, a standard Merlin Pass or even a LEGOLAND Windsor Annual Pass. Simply redeem your vouchers prior to your visit & book your tickets online in advance to take advantage of this deal. There is also the option to upgrade your standard Merlin Pass to a Premium Merlin Pass with an additional cash payment of around £50pp on the day. Look out for this Pre-School Ticket deal that offers a joint adult and child ticket, (3-5 years), for around £25 at LEGOLAND Windsor. This tends to run during select off peak times, during term time, giving you the added bonus of a quieter experience at the park. We’ve also come across options for 1 adult accompanied by 2 or 3 young children too. More details as they come in for this offer. If you travel by train you can download a 2 for 1 voucher for LEGOLAND Windsor that can offer you value for money. You will need to present valid train tickets in conjunction with your downloaded voucher to gain 1 free entry to the park. Keep an eye out for dates this voucher cannot be used at the park. More information is available at LEGOLAND Windsor 2 for 1 Voucher. FIND OUT HOW LEGOLAND Q-bots can save you time around the park in this queue-busting method to bypass the crowds! 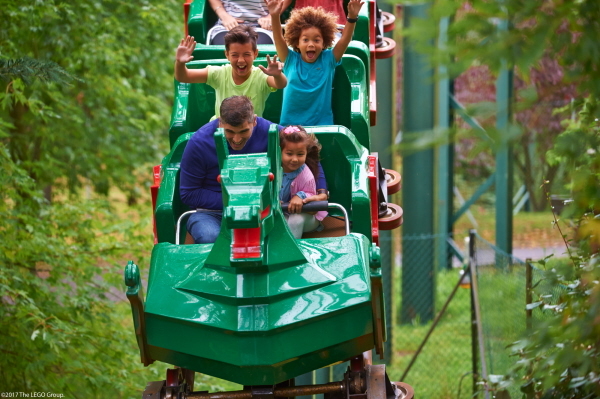 LEGOLAND Windsor offers discounted rates for groups with differing rates available for parties of 10+, youth groups, school bookings and groups of 30+ guests that run throughout the season. Worth double checking what group rates are available for the date of your planned visit. TO BOOK GO TO LEGOLAND Windsor Group Tickets. Check out our up to date list of 2 for 1 vouchers for the LEGOLAND Windsor that are valid to use. In general terms, 2 for 1 vouchers can secure one free entry when accompanied by a full paying person and cannot be used in conjunction with online ticket discounts or any other offers. Keep an eye out for the Kellogg’s Grown Ups Go Free vouchers that offers you the option to book online that will help you avoid the queues at the ticket booths too. 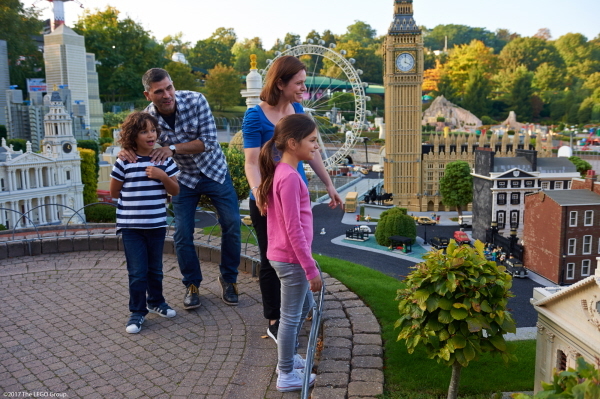 LEGOLAND Windsor comes under the umbrella of Merlin Attractions so you can gain entry with a Merlin Pass. Keep an eye out for the Merlin Pass Sale that tends to run each year that often provides the best savings for those looking to invest in a pass. Whilst the standard Merlin Pass is cheaper, it does come with some restrictions on use and you will need to pay for parking. Remember our LEGOLAND Windsor Guide – tips to beat the queues to help you pack more into your day! This entry was posted on Wednesday, February 6th, 2019 at 4:10 am	and is filed under . You can follow any responses to this entry through the RSS 2.0 feed. You can leave a response, or trackback from your own site. Hi. Can I use my Tesco points vouchers for Legoland on 28th fireworks? Twıce ı trıed 2 book 1+1 offer at for the 5th aug at holiday inn T5 offer of £181 for 2adt+ 2 chd . no luck, ı am outsıde uk at the moment , has this offer finished? Unfortunately the 2 for 1 vouchers do not include parking at LEGOLAND Windsor as there is an additional fee for parking at the park. Parking is included for those staying at the LEGOLAND Windsor Resort Hotel but unfortunately not for guests staying at hotels close-by. I have already bought tickets for Friday 28th October and was wondering if you have a kennel available and if so how can I book. hi, can I use the Kellogg’s voucher one adult free with one full paying adult that I have cut from cereal packet on sat 29 oct when fireworks are on ? Hi Shelia, mmm it doesn’t explicitly say within the full terms & conditions whether the Kellogg’s 2 for 1 voucher is valid at Legoland on 29 October or not. However it does state that the voucher excludes ‘any events & concerts’ and I rather suspect the fireworks nights will come under this umbrella term however I cannot be certain, (sorry I can’t be more definitive in my answer but if you do find out more do let me know so we can pass it on to our readers). One other thing to consider is that a 2 for 1 voucher will not guarantee you entry if the park reaches capacity through pre-sale tickets and these firework events can get pretty busy. Hi I’m trying to find The cheapest way to take my children to Legoland in. Half term. My Son is registered disabled, we are in receipt of DLA and my daughter is a student. My son is 10 and my daughter is 16. I do have child Go’s free voucher too. Hi Joanne, there are indeed lockers available for use at LEGOLAND Windsor. There are 3 blocks of lockers located within the park that cost £1 for a single use. You can find more information over at LEGOLAND Windsor Lockers. At peak times, these lockers can get snapped up quickly so best to bag one early on during your day to the park to ensure availability. Hi Joanne, I can see Kids Go Free offers running during June but unfortunately this doesn’t currently extend to August. All short breaks to the LEGOLAND Hostel include a free second day at the park, free parking and early access into the LEGOLAND Windsor with Kids Go Free offers running at select times of the year. If you are looking for cheap tickets to LEGOLAND then worth considering 2 for 1 vouchers that offers 1 person free entry when accompanied by a full paying guest. Alternatively look out for online discounts that can offer considerable savings if you book in advance. How does the early entry work in practice if you are staying the legoland hotel? 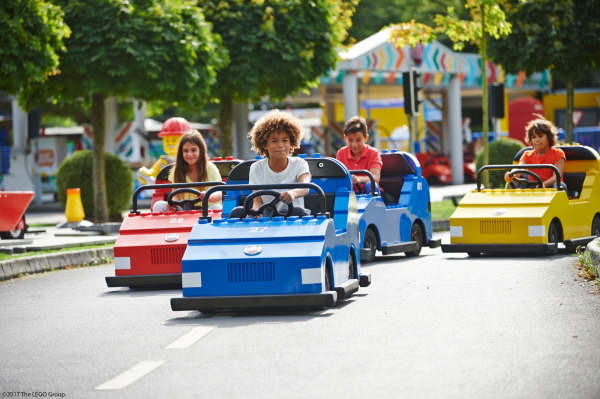 Hi Sheila, for guests staying at the LEGOLAND Windsor Resort, you can take advantage of early entry into the theme park before the park opens to the public.This usually takes place from 9.30am as the park opens at 10am each day. Whilst only a select number of rides are open, it does give you a chance to get a few popular rides under your belt before park opens for the day. You can also position yourself well as other popular begin to open at 10am. another way to save on paying for tickets is to keep an eye out for The Sun paper. They offer 2 free tickets to various merlin attractions, all you have to do is collect 10 tokens r codes then send away or enter them online. Sometimes they offer 2 for 1 deals also so perfect if you have extra people you can get them half the price too. Good tip Lauren, thank you. If I recollect, this free ticket offer happens around May time? Hi. Me and my husband r looking to visit legoland on the 17th March. I have got two tickets with my Tesco clubcard and my daughters come home from school last week with children go free coupons on the back of world book day leaflets. Am I able to use them with my clubcard tickets I already have? I visited with my 5 year old last week with a child goes free ticket. When paying he gave me a returning adult go free.. Can the returning adult be used in conjunction with 2 complimentary tickets for adult and child? The park unfortunately was closed so I was issued 2 tickets to return. If so we would like to go back with her dad and wondered if I can use the returning adult and 2 tickets as entry? Hi Tasha, I’m not sure if you mean this is an adult go free voucher? If so these can’t be used in conjunction with any other offer and require the ‘free’ person being accompanied by a full paying person paying the on-the-gate price ticket. Went to purchase tickets through groupon for lego land, but it only gives option of ‘third release’ what does this mean? Why don’t Legoland just reduce the prices so that we can book direct without going around the houses trying to get a deal. Bloody stupid company. Hi John, it does sound like a plan rather than having to search out 2 for 1 vouchers/discounted tickets for Legoland Windsor as I’m sure most people by now know not to pay full price on the day. However, saying that, surely then I’d be out of a job! I have one ticket from kellogg’s cereal valid until 30 of june 2016.Can i still use if i want to book the tichet online for 2 kids and one adult?I want to book the ticket for next wekend and i want to now if i can use the ticket at the entrace. Hi Christina, unfortunately you can only take advantage of an adults go free voucher when you are accompanied by a full paying adult or child paying the full on-the-gate price ticket and cannot be used in conjunction with online ticket discounts. Hi Michele, the Kellogg’s Free Adult Entry voucher is valid at Legoland Windsor in March from the date that the park opens, (13 March) through to the end of March. Vouchers can be found on promotional packets of Kellogg’s breakfast bars & cereals. Offers in may lego land? Hi Nancy, we are starting to see another Kellogg’s free adult entry voucher for 2015 on select promotional packets of breakfast cereals & breakfast bars that includes Legoland Windsor. As the theme park season takes off in March, I’m sure we’ll soon start seeing many more Merlin 2 for 1 vouchers & offers. I would like to purchase 4 tickets (adults) for Legoland in Windsor for the 9th of January 2015. How do i? Hi Jerry, sorry the 2 for 1 vouchers for Legoland Windsor that we have written about all require a purchase of a promotional item such as Kelloggs cereals or Walkers Crisps. They can be found in most supermarkets…just look out for the voucher promotion on the front of each item. You can find more details over at 2 for 1 vouchers for Merlin Attraction. Hi Jamie, yes you can still pick up Grown Ups Go Free vouchers on promotional packets of Kelloggs cereals that you can use at Legoland Windsor. More details available at 2 for 1 Vouchers for Merlin Attractions. Any deals for 2014 yet? I’m thinking a family pass for an Xmas present would be a great idea. Hi Ann, sorry not that I am aware of at the moment. Historically Legoland Windsor run a promotion in December where you can pick up a free standard pass if you purchase a quantity of Lego from Legoland Windsor. Alternatively, Merlin run a Merlin Pass sale in January but don’t think these are quite what you are looking for. Do keep checking back & we’ll update as new offers come in. Hi, my wife got the 2 for 1 offer from the Sun but I need a ticket and we heard that we could get one at a discounted price. Can you help with this please. Hi John, unfortunately with a 2 for 1 voucher you will need to purchase a full price ticket on the day of your visit to Legoland Windsor and cannot take advantage of other discounted ticket offers. does anyone know if you can use the half price abbey well vouchers to get half price for a whole group on the same trip? the website T&Cs seem to suggest that you get a half price voucher for another person??? Hi Sam, I am not aware of the terms & conditions of this half price voucher for Legoland Windsor, although in general terms we find these promotions tend to offer just one person discounted entry per voucher & per transaction so best stocking up! I picked up a 2 for 1 Legoland voucher for WH Smiths earlier this year & wasn’t sure if I can use it in the school summer holidays? Dave, when reading through the terms & conditions of the WH Smiths voucher for Legoland, Windsor, the voucher is valid throughout the season, excluding special events & between 27 October to 4 November. This voucher allows one free entry when accompanied by a full paying adult and cannot be used in conjunction with any other offer or promotion. Top tips and money saving ideas to help you get the most from your trip to LEGOLAND Windsor. Our guide to Q-Bots at LEGOLAND Windsor to help you beat the queues. Our guide to parking at LEGOLAND Windsor including drop off, standard parking charges & free parking options. Follow our top tips & deals for those looking to purchase ride photography items at LEGOLAND Windsor.